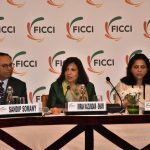 Mumbai: Recently, FDLI organised a Tobacco Products Regulation and Policy conference in Washington DC, USA and Nilesh Jain, the founder of India’s leading vaping brand ivape.in was invited as the only Indian speaker at the event. 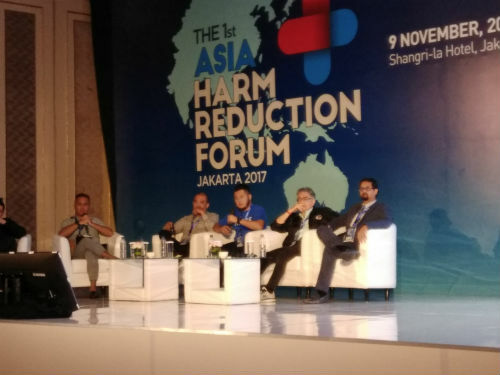 Following this, he also represented India at the Asia’s first harm reduction meet in Jakarta, Indonesia. The advocates of vaping and active consumer vaping groups from different countries had gathered at this harm reduction forum. The purpose of this meet was to appeal to the local governments, allowing them to regulate the use of electronic cigarettes and the so-called ‘heat-not-burn’ products which are less harmful alternatives to smoking. Vaping is considered as a harm reduction tool, according to experts. Vaping is an act of inhaling and exhaling the vapor produced by an electronic device—a battery-operated device which vaporizes a flavored liquid made of propylene glycol, glycerin and flavorings. While there are no specific data on the population of Asian vapers, it is estimated that millions in the region now have switched to vapes which are classified as harm reduction products. While talking about Asian countries, India, one of the fastest growing economy in the world is also the second largest producer of tobacco with an estimated annual production of 800 million kilograms and is also amongst the highest consumer of tobacco products. About 50 million households depend on tobacco industry for a livelihood. According to Global Adult Tobacco Survey, a staggering 267 million Indians continue to smoke cigarettes and use smokeless variants such as gutka. Some 900,000 people die every year due to this addiction, ranking India among the top four countries in the world for smoking-related diseases. The new US FDA policy of shifting the focus from tobacco to nicotine delivery systems, addresses the heart of the problem, & can have far-reaching impact on public health. In a country like India which has a huge tobacco burden, and where access to public healthcare is minimal at best, making the role of preventive measures even more critical. Advanced countries like USA, UK, Australia amongst others are insisting on more research, studies & evidence based facts to promote ENDS. Indian regulators and the health ministry must also take a step towards evidence based policy making and not introduce ban, thereby denying 140 million smokers the access to technology that can make a huge difference to their life expectancy. Dr. Farsalinos stated that in 2014, 6.1 million Europeans quit smoking with the help of e-cigarettes. An additional 9.2 million reduced smoking with e-cigarettes. “E-cigarettes promote smoking cessation. Millions of lives can be saved in Indonesia, Asia and worldwide at no cost to the economy and the state,” he says. The Philippines has recently excluded vaping from a nationwide ban on smoking in public places. Data from the Philippine Statistics Authority show that in 2015, 16.6 million adults or 23.8 percent of the Philippine population were smokers. Of the total, 76.7 percent planned or were thinking about quitting, but only 4 percent were able to successfully quit. Many Filipinos switched to vaping when the government issued an executive order prohibiting smoking in public places, according to Tom Pinlac, president of The Vapers, Philippines. In countries that promote the use of electronic cigarettes and heat-no-burn products such as Japan and the UK, smoking prevalence has been declining at a record speed. In the UK for example, 2.2 million smokers have quit smoking within five years. Japan has the world’s fastest decline in cigarette use since the last two years. The US FDA just announced this year that its anti-tobacco regulation will be fully geared towards harm reduction while New Zealand Ministry of Health just endorsed this month towards promoting the use of electronic cigarettes. If new policies encourage harm reduction alternatives, the public health benefits can be unprecedented and even more so in Asian countries where smoking rates are high. These 10 ways to stop smoking cigarettes will be a direction to the path of quitting smoking. There are lots of methods to give up smoking cigarettes, although nothing spent some time working for me personally, however, if you would like to you are able to. Start with calling the quit line, not merely will they give you somebody to coach you, they send you the patch for free. In the event that you are much cigarette smoker, bear in mind that a lot of studies have shown that cold turkey or using only the area fails – your human body is accustomed too much nicotine.